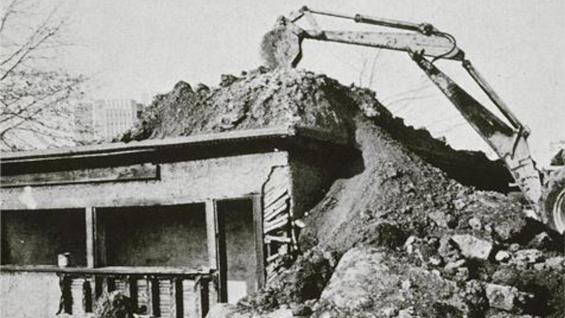 Spirals, Ruins: Notes on Robert Smithson and the "Contemporary" in Art. In the past two decades, the notion of “contemporary” art has emerged as the generic catch-all replacement for the various ism’s of the twentieth century. Today, it represents a presumably open-ended and globalized pluralism anchored in the concepts of the the specific, the local, the historical and the contingent. Yet what are the limits—conceptual, critical and theoretical—of the contemporary? This lecture will address some of these questions by looking at the work and writings of Robert Smithson and recent art. Saul Anton is the author of the critical fiction, Warhol’s Dream (2007) and has written for Afterall, Artforum, Frieze, Parkett, Fillip and many other periodicals. He is also the translator of Jean-Luc Nancy’s Discourse of the Syncope: Logodaedalus. Anton has taught at the Tyler School of Art, at Princeton and the New School. He holds a Ph.D. from Princeton and teaches at New York University and the Pratt Institute. He is currently completing a book about Lee Friedlander’s celebrated 1960s photographs of televisions known as “Little Screens” for Afterall’s “One-Work” series. Saul Anton is a Robert Lehman Visiting Artist at The Cooper Union for Spring 2013.